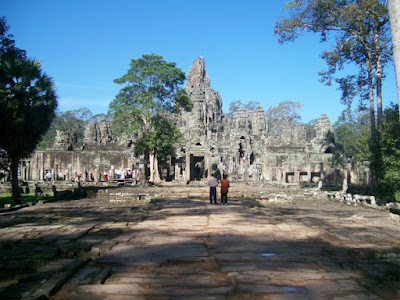 After travelling up from Phnomn Penh on a very crowded government bus, our innovative driver using plastic stools to create a fifth isle in the center of the bus, we arrived in a very wet Siem Reap. 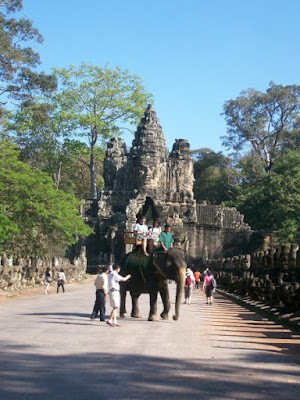 As is normal practice apparently, when we arrived we were met by a tuk-tuk driver waving a sign with our names on it! 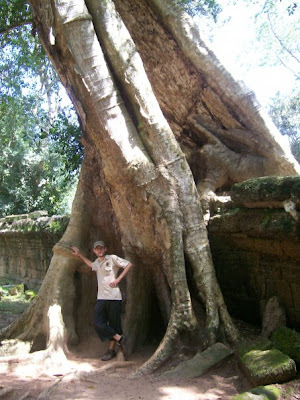 We later discovered that the guesthouses in Phnom Penh phone ahead and sell tourists names to the guys up north. 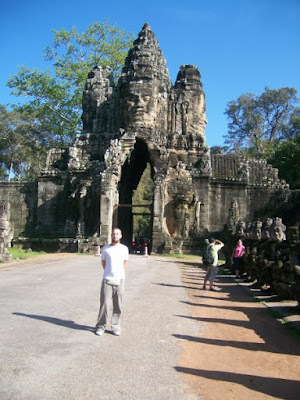 The next morning we met our tuk-tuk driver at 11AM and headed out to the Angkor Wat site. 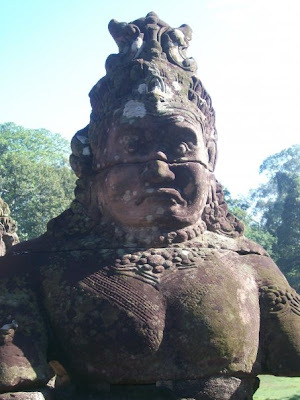 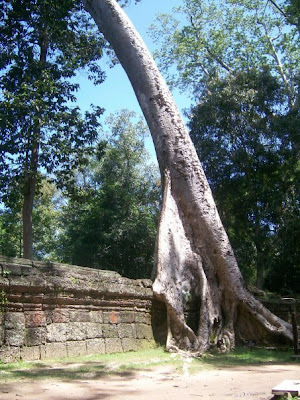 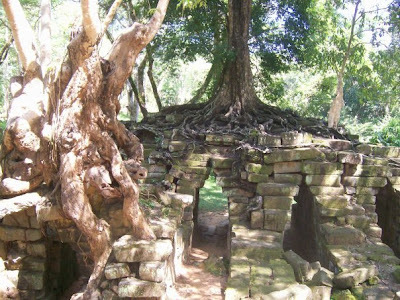 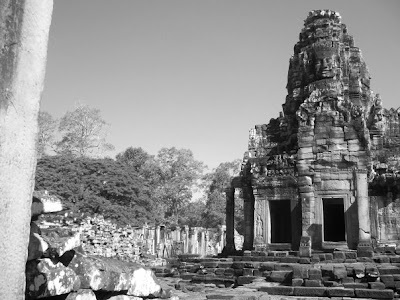 A 5.5Km ride from Siem Reap, a huge temple complex that was lost in the jungle until about 100 years ago when French explorer Henri Mouhot rediscovered it almost completely enshrouded by the surrounding Jungle. 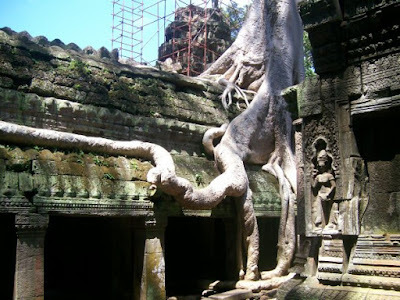 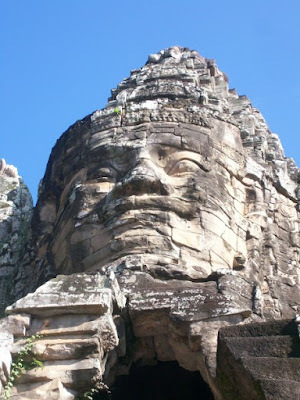 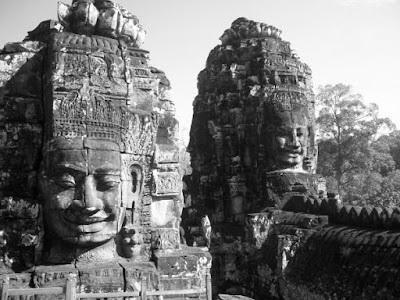 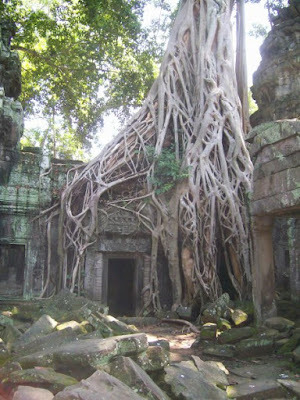 We spent the day visiting various temples around the site including Angkor Bayon, famous for the 200 bas-reliefs of Khmer faces and Angkor Thom famed for the huge trees, whose roving roots have become an integral part of the structure of the temple. 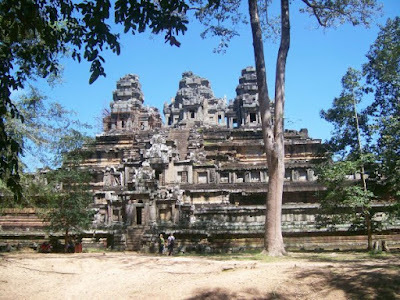 Various temples on the site were used in the filming of Tomb Raider and as we walked around the almost deserted site, there was a real sense of how the first explorers must have felt upon stumbling of this city in the jungle.